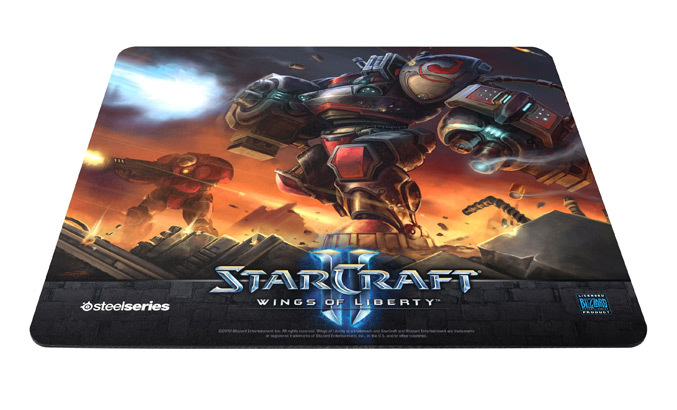 Last week, Razer has announced peripherals designed specifically for the release of Blizzard Entertainment’s highly anticipated real-time strategy game StarCraft II: Wings of Liberty. Now SteelSeries reveals more original co-branded gaming peripherals for gamers eager to jump back into the epic struggle between the protoss, zerg and terran races. The previously revealed StarCraft II ZBoard gaming keyboards will come in two options – a a regular keyboard and Zboard Standard SteelSeries Limited Edition Zboard (StarCraft II) for $69.99 USD / EUR 64.99. The specially designed Zboard Keyset (StarCraft II- is also sold separately for $24.99 USD / EUR 24.99.) provides labeled commands, in-game shortcuts, official artwork from the game, and three race-specific mods featuring unique abilities for each of the races. 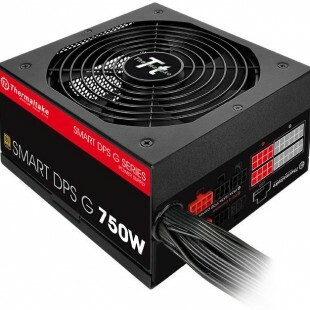 Through its unique Z Engine II software, gamers can also remap every key on the keyboard, guaranteeing a completely customized experience for each and every user. 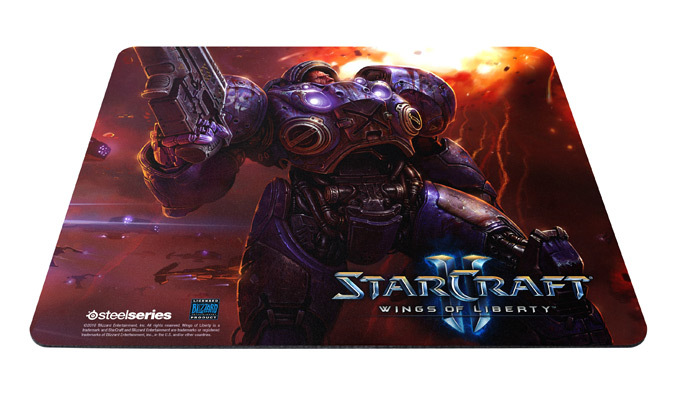 Joining the current line of StarCraft II-branded Qck Limited Edition mouse pads, SteelSeries intros also two new – The SteelSeries Limited Edition QcK Tychus Findlay and Marauder mouse pads with with beautiful in-game artwork of the iconic terran marine and the terran heavy infantry unit respectively with price tag for $14.99 USD / EUR 14.99. All peripherals will be available at game launch. “With Blizzard Entertainment’s recent release date announcement for the highly anticipated StarCraft II: Wings of Liberty, SteelSeries is excited to introduce new game-specific gear designed to offer high-quality peripheral options and a true immersive experience,” said Bruce Hawver, SteelSeries CEO.